SM-492. 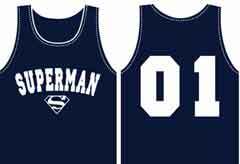 Navy sports tank with Superman name and logo printed prominently in big white letters with raised-ink edges. Eight inch tall numbers "01" printed in white across the back. 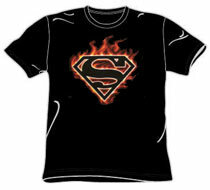 Printed on pre-shrunk, 100% cotton, adult size navy blue tank. 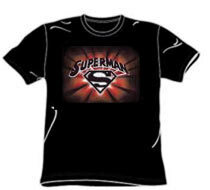 Only size adult size Medium left in stock.